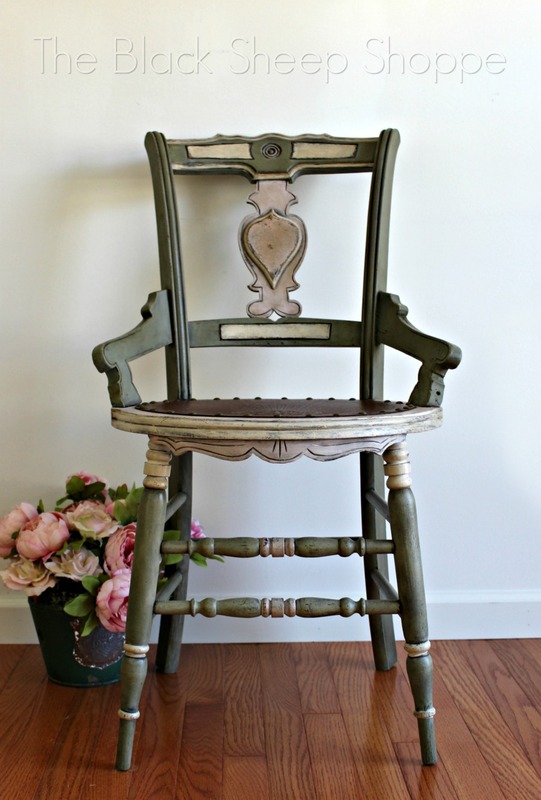 The project I am featuring today is an antique chair. As you can see the chair was in somewhat poor condition. Luckily, the legs and back were sturdy, but one of the arms was broken in many places and the finish was in bad shape. There were some repairs done to the arm previously, but it was still a bit loose and wobbly. So I used a lot of wood glue to further patch and repair the arm so that it's sturdy once again. 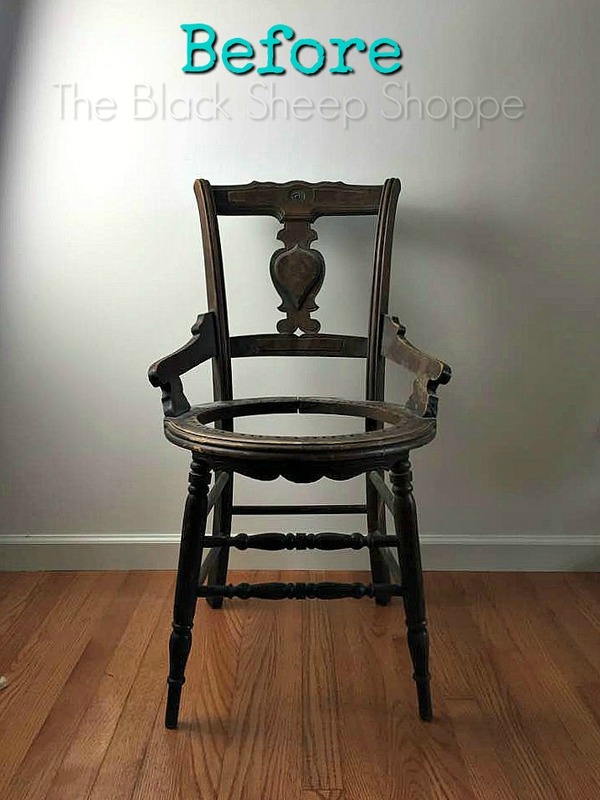 I think the chair originally had a caned seat. I considered having it re-caned, but that can get expensive, so I purchased a fiberboard seat replacement and attached it with upholstery tacks. The seat was about $25 and was fairly quick and easy to attach. I pre-drilled the holes and then affixed the seat to the chair with upholstery tacks. 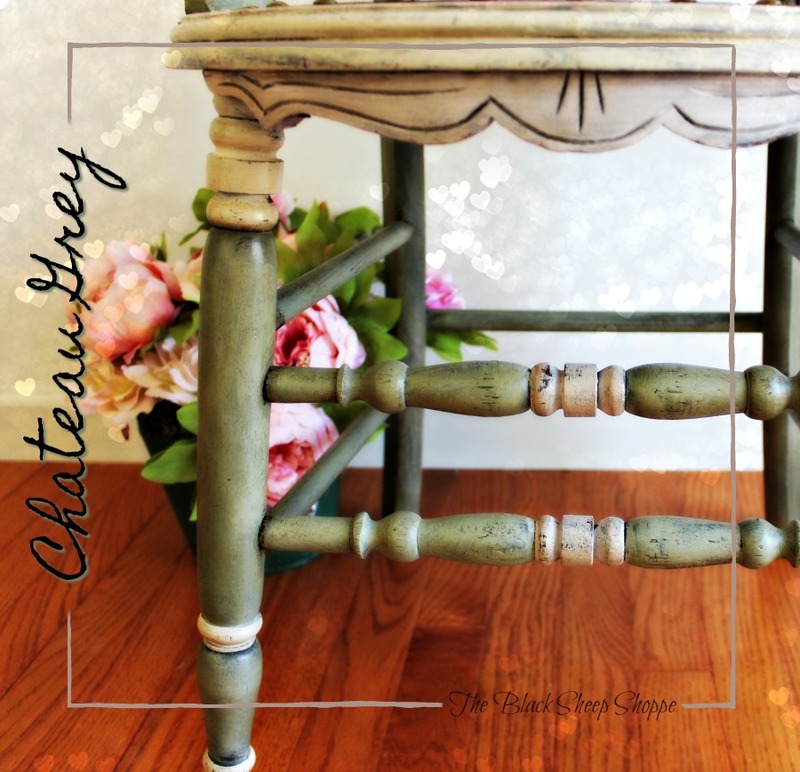 The color scheme is Chateau Grey, Old Ochre, and soft highlights in Antoinette. 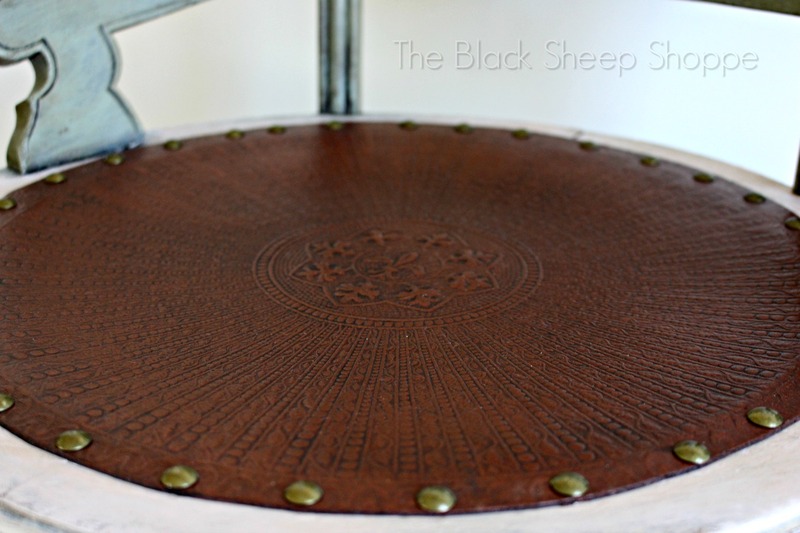 I used a distressed finish to accentuate the old original finish. However, I did not do any sanding (wet or dry) to achieve the look. Instead I applied one very light coat of paint. After it was dry I applied a second light coat in various places to get the worn finish. I wasn't concerned about missing spots, so I applied the paint especially thin around the corners and edges of the chair. I used a small amount of dark wax to age the finish a little more. 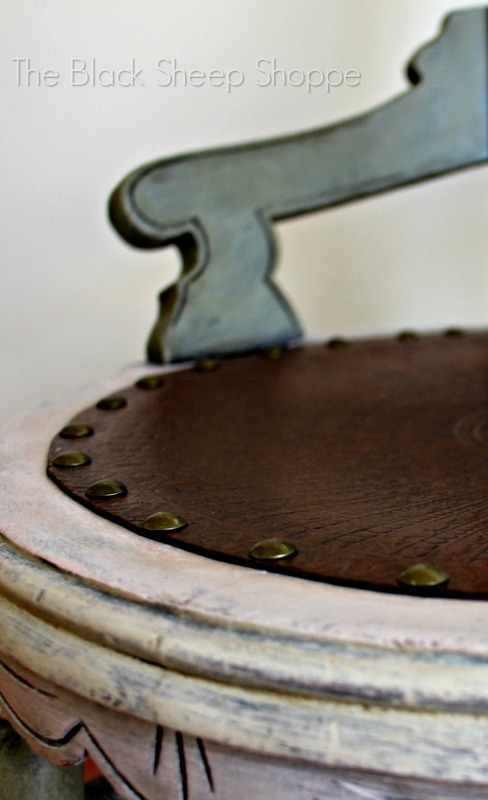 I stained the fiberboard seat, sealed it, and then applied a dark glaze. I think the end result has a look of leather. 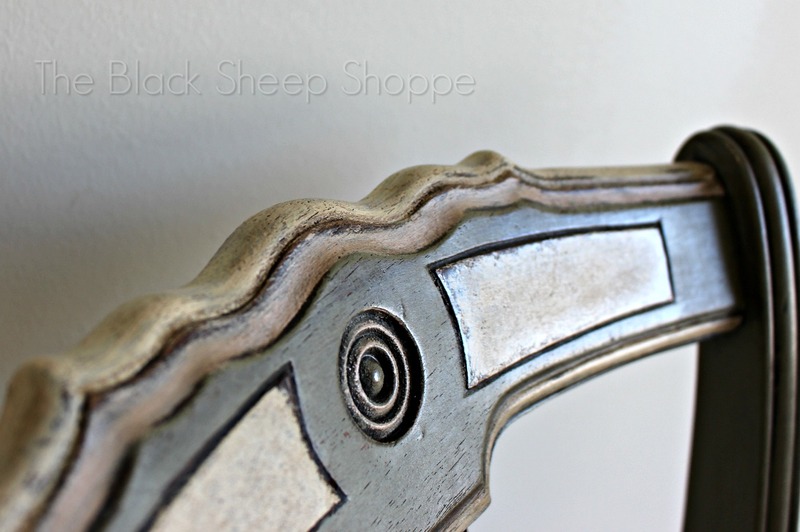 Thank you for stopping by The Black Sheep Shoppe blog today! It really does look like a leather seat! 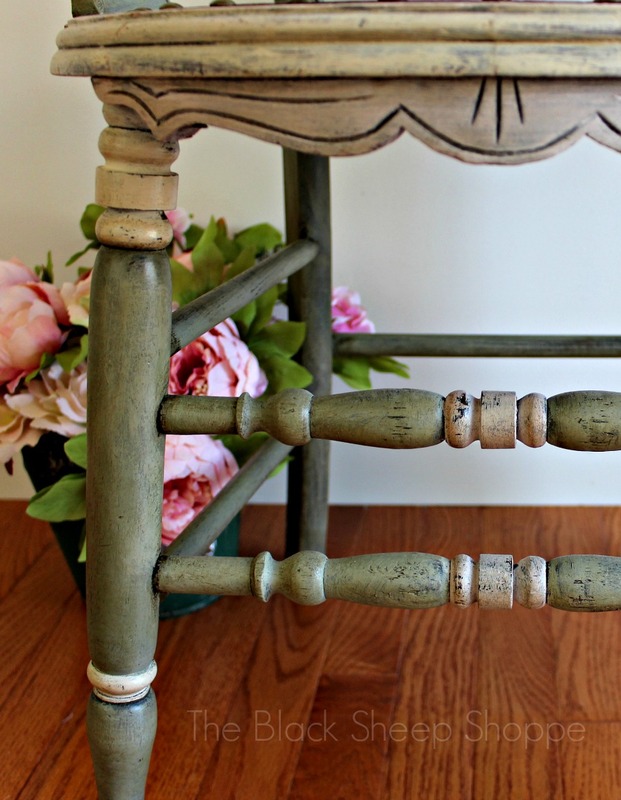 Love the muted and distressed color combinations. Another awesome furniture makeover, Patricia! 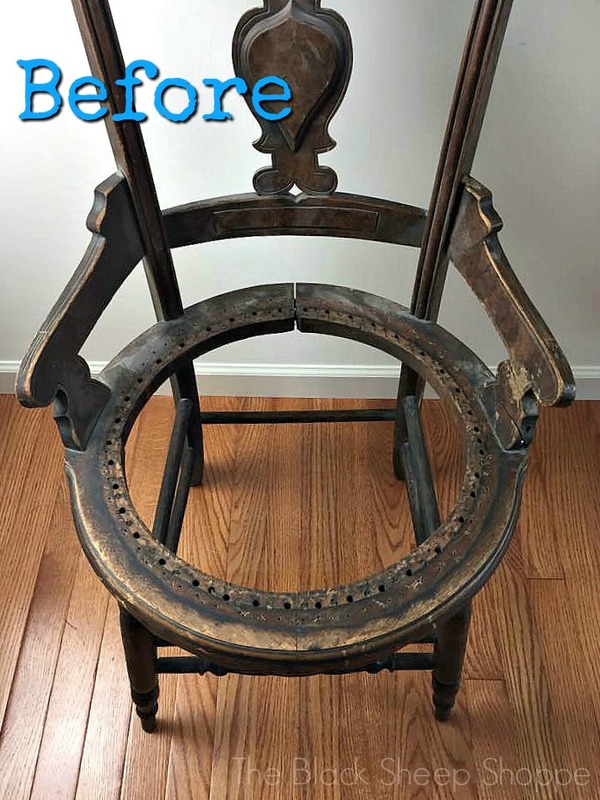 I love this beautiful transformation of this fabulous chair. Thanks for sharing.